Riverfront Park wins ULI Award for Excellence! 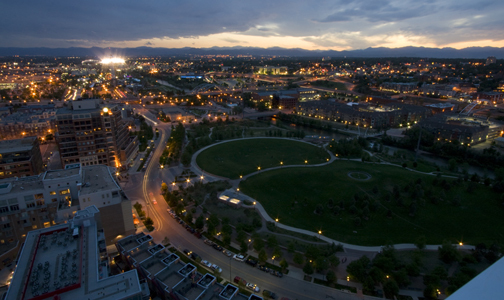 Riverfront Park, Denver, Colorado (Developer: East West Partners; Master Planner: Design Workshop): Integrated into the downtown grid of Denver and built on the site of a former rail yard, Riverfront Park is a new urban neighborhood with more than 1,400 residential units and 62,000 square feet of retail space. Designed and built under a form-based zoning code, Riverfront Park also features four parks and a landmark bridge, reclaiming the riverfront from an abandoned brownfield.